This metal sea turtle sculpture is wall hanging is made entirely of stainless steel. 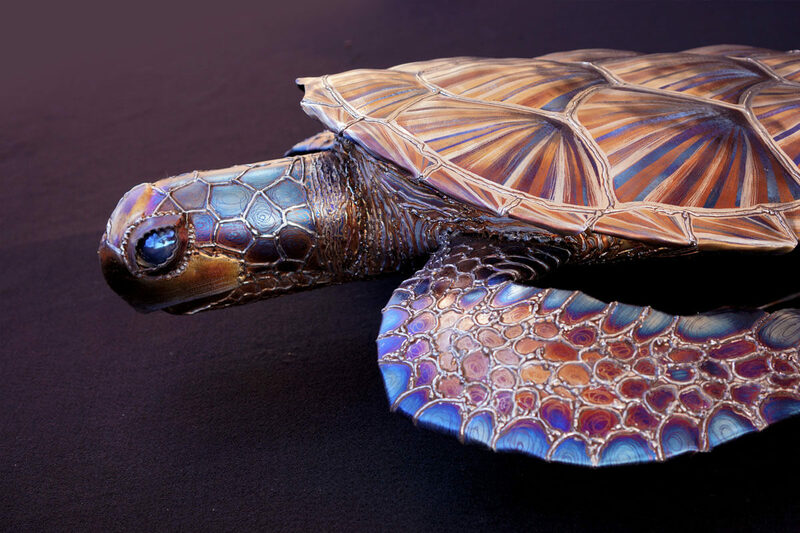 Meet Sylvia the stainless sea turtle! 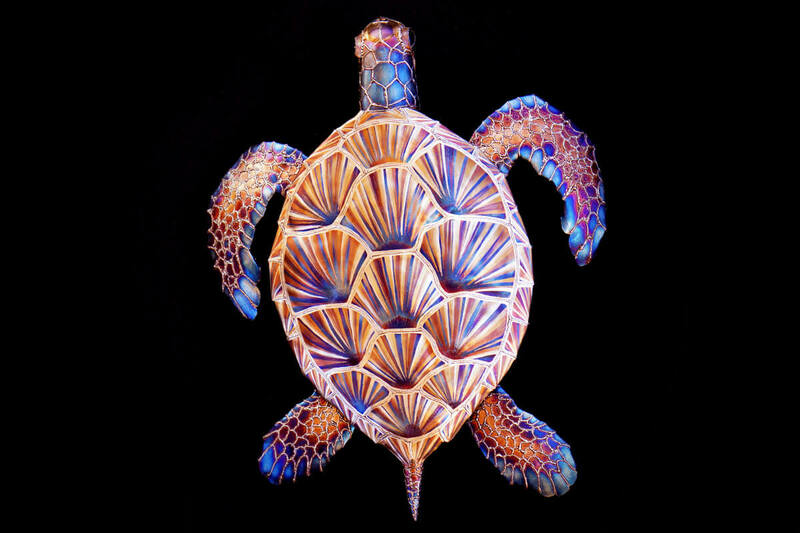 I find sea turtles to be incredibly beautiful kind creatures and it has been on the top of my list of things to create for a while. Luckily I was approached by a dear friend to make a Christmas gift for his wife and after speaking for a while about what she may like we settle on a sea turtle. I was very excited to have the opportunity to create one especially since it was for someone I care about! 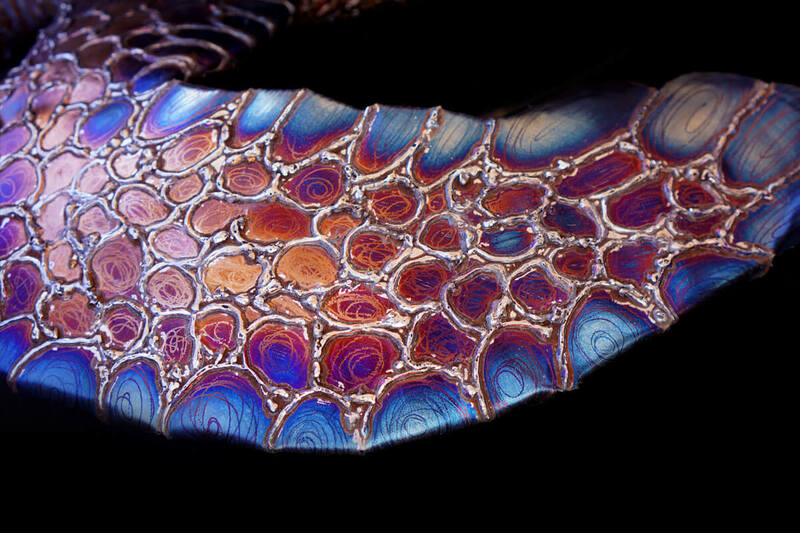 The shell was my favorite part to create. I colored it blue first and then went back and forth between grinding and coloring to create layered colors to create depth and have it really pop! I then ground the final silver highlights to give it that extra shine! The most difficult part was creating the head and face. Making a 3 dimensional head that was viewable from all sides with compound curves was a fun challenge. The only way i could find to hide my welds was to make them part of the design aesthetic. I also had to sneak a spoon in there to flesh out part of it. Can you find the spoon? Overall I love how this piece turned out and I am happy to know she is in a loving home! This sculpture is safe to be kept outdoors! 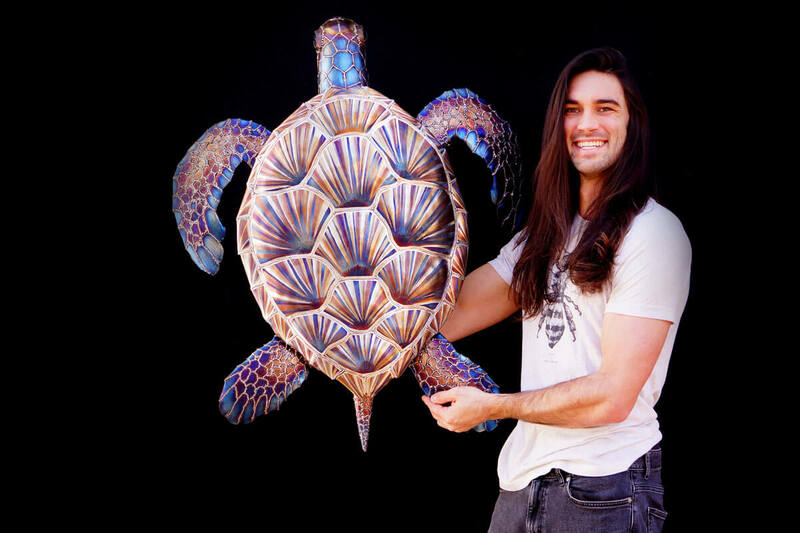 Artist Aiden Dale with his sea turtle sculpture. Sea Turtle sculpture side view. Sea Turtle sculpture head and flipper close up. 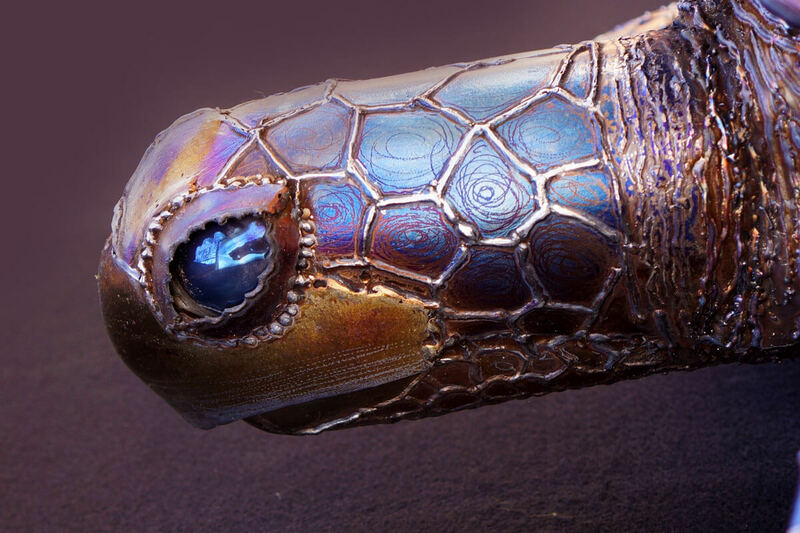 Close up of sea turtle sculpture head. 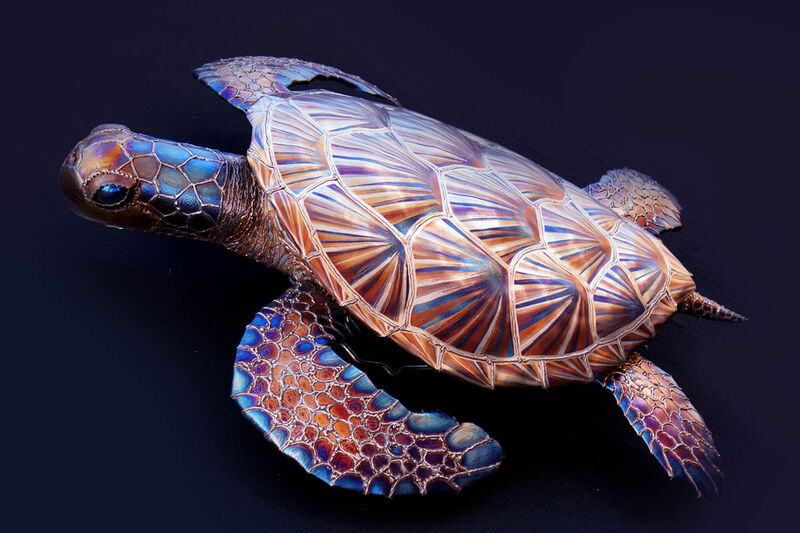 Close up of sea turtle sculpture flipper. 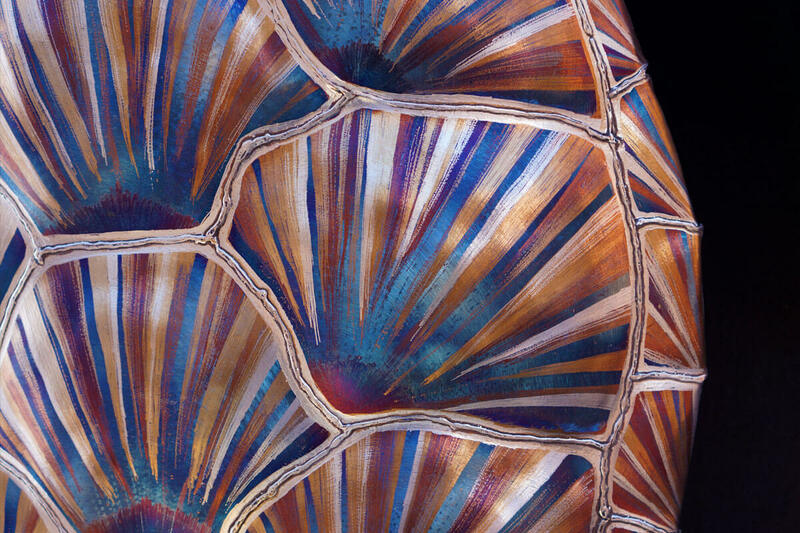 Close up of sea turtle sculpture shell. 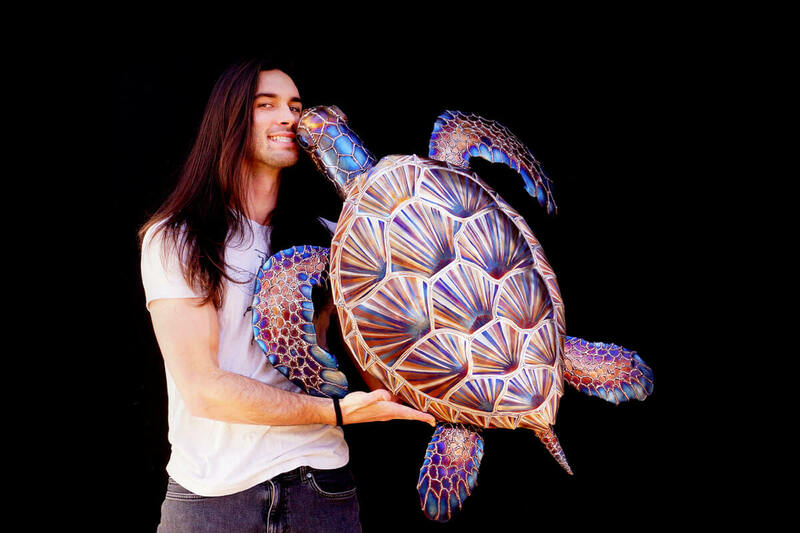 Sea turtle nuzzling artist Aiden Dale.